Tired of your mid-life, your routine and the endless chores that take you away from what you really value? It could be costing you a lot more than you think. Your health and wealth, and your relationship with those around you. Glasgow-based PR man David Sawyer has produced a formula for regaining control of your life. How to make the most of your career and your finances but, most of all, how to reinvigorate your self-worth and put a smile back on your face. First there is a disclaimer: “There is no such thing as a set of rules that will make you happy and fulfilled”, he says. He makes it clear that if you want tailored advice on career, business, tax, etc… then seek professional help. If you think you can do it for yourself, then this book might be a good start. 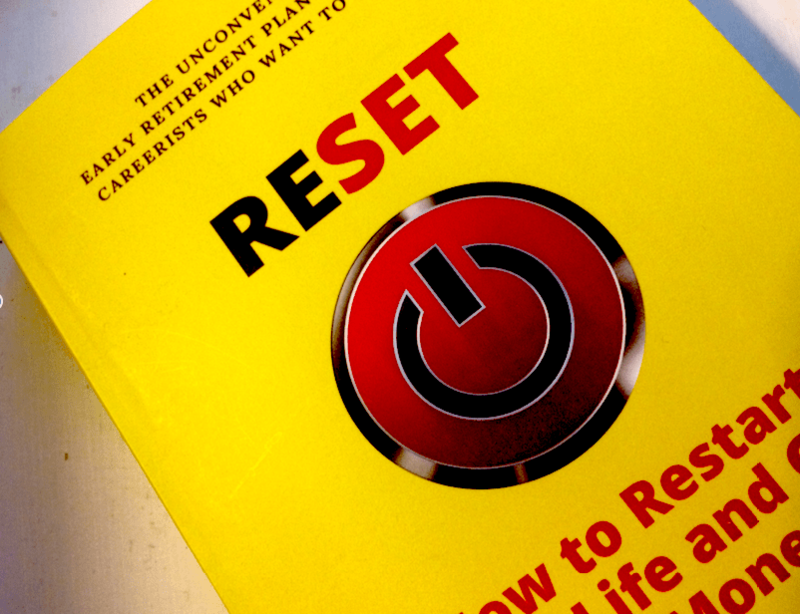 Reset, How to Restart your Life, is billed as an “unconventional early retirement plan for midlife careerists who want to be happy” and the author takes us on a journey from finding a purpose (currently one of the fashionable personal drivers), through de-cluttering your space and your mind. Those who’ve read similar self-motivation books will come across familiar advice on setting a plan and focusing on the things that matter. There are name checks for mindfulness and Buddhism, but Sawyer does not dwell on the spiritual, sticking to the practical ways of clearing your head of all the needless dross that will make way for personal satisfaction and contentment. Nor is it just about head cleansing. There’s some detailed advice here on sorting out everything from your career and home life, to your pension and the family shopping budget. Sawyer has done a lot of research, particular on personal finances, but readers must take his advice on trust. Ultimately, this is a happy guide, a compendium of easily digestible notes to lift the spirits, cut out the crap and get on with being you. There’s probably a bit of all of us in this book, and maybe a new person awaiting us by the time we’ve read it.